The M4 RSCR was designed to be a lightweight, minimalist system for carrying just the essentials. 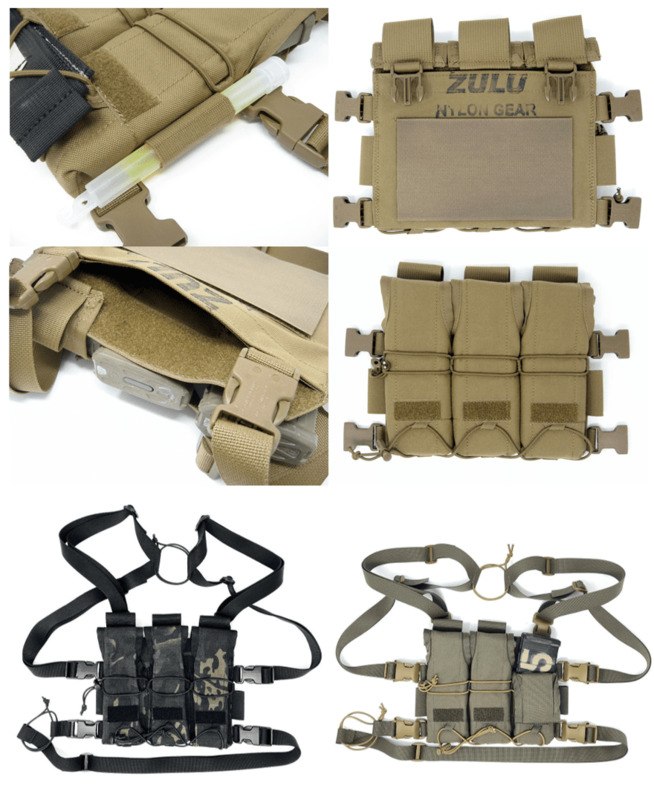 The rig features space for 3 M4, AR15 type magazines with adjustable retention in our unique reverse flap pouches. Across the front is a shock cord web intended for carrying items like a tourniquet on your centerline where it can be easily accessed with either hand. The sides feature elastic loops for chem lights, Sharpies, or similar items. The rear features a flat pocket for maps. 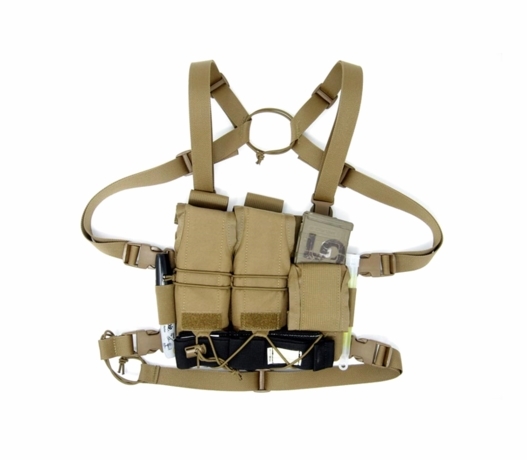 The harness was designed to be as light and thin as possible in order to maximize comfort when wearing the rig under ruck straps or a cover garment. Both the shoulders and waist feature user replaceable shock cord which allows the rig to remain snug on your body but still allow easy breathing and movement. 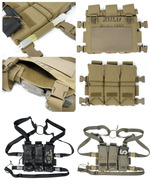 The buckles and Velcro hook on the back of the rig are intended to interface with most armor systems that are SwiftClip compatible. Made with high quality MILSPEC components.